They will guide you in adding new layers to your painting each week based on a different theme for your emotional experience. Group will be limited to 8-10 participants. 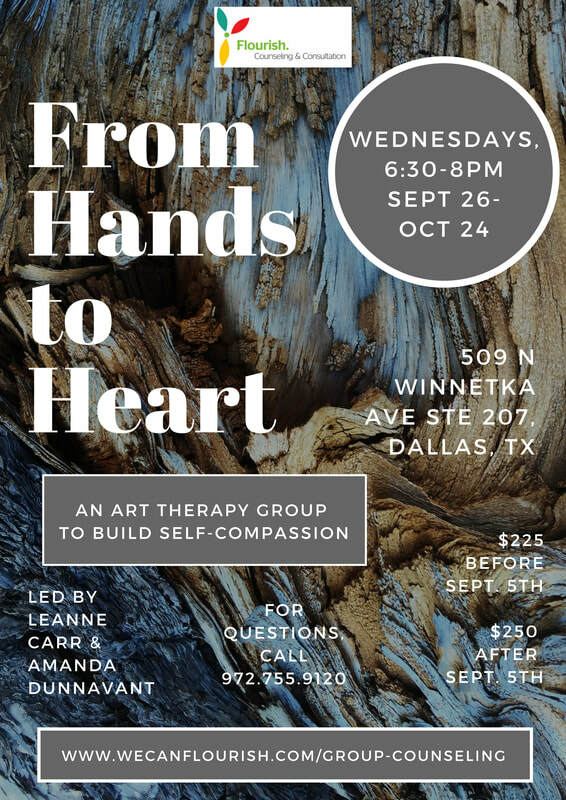 In this group, you will build self-compassion through painting. No prior art experience is required. You will be given instructions, techniques, and guidance. The group is led by LeAnne Carr and Amanda Dunnavant.